On Shrove Tuesday the Nursery and Infant School held its annual pancake races. With pans at the ready and chef’s hats in place pancakes were tossed and, mostly, caught as children raced against each other. The teachers also got into the spirit of the event before their Lenten fasts began. Meanwhile, Key Stage 2 pupils have been entered into a pie making competition, organized by local butchers, Blackwells of Norton. Two of our pupils have reached the finals with Abigail Taylor’s ‘Breakfast Lattice’ and Bede Knox’s ‘Not from the duck pond’ duck pie being made and tasted by Blackwell’s master pie makers. On Tuesday we heard that Abigail won the competition. Her winning recipe will be put into production and will be available to purchase from Blackwells from the 7th March during National Pie Week. 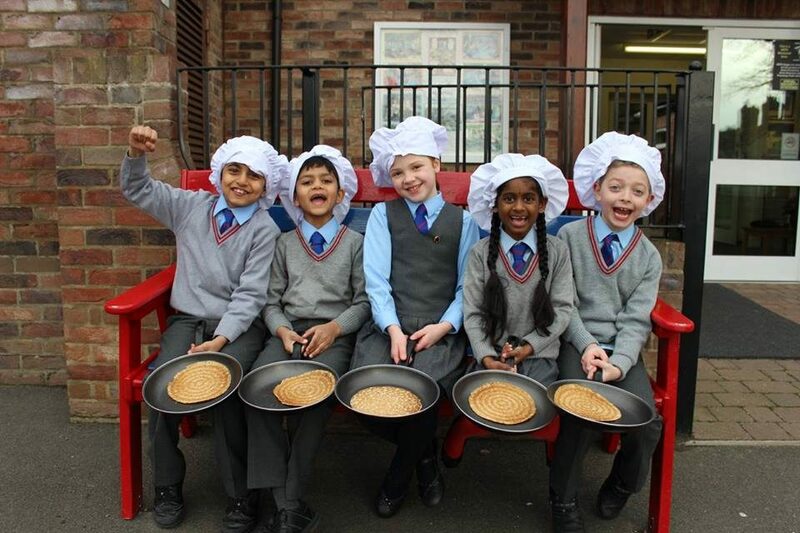 Abigail and other pupils from Year 6 will be visiting Blackwells next week to see her pie being made. We look forward to tasting the winning recipe.